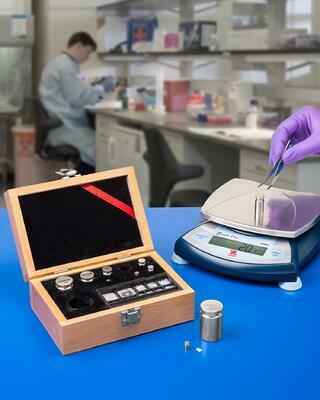 How Important Is it to Regularly Calibrate Your Industrial Weighing Scale? A weighing scale is only as good as its calibration. So, when was the last time you got your weighing scale inspected? If you use scales, or any measuring device for that matter, the importance of appropriate calibration cannot be stressed enough. Calibration is comparing a known standard or measurement to the measurement as shown by your scale or other device. Calibration defines the accuracy and quality of measurements recorded using a piece of equipment. Over time, results and accuracy may get altered especially when using particular technologies or measuring particular parameters. To be assured of the accuracy of the results being measured there is an ongoing need to service and maintain the calibration of equipment throughout its lifetime for reliable, precise, and repeatable measurements. The goal of calibration is to minimize any uncertainty in measurement by ensuring the accuracy of test equipment. Proper calibration is important not only for you to maintain your reputation in front of your customers but more so protect yourself from being censures and fined by agencies that regulate your industry. When measuring weight it is important that the quantities being measured are accurate to maintain product safety. This could pose a safety hazard if they are not. For instance, if a vehicle or an elevator with a weight limit is used for transportation and the goods being transported are weighed using a scale that was not calibrated to ensure accuracy, there could be damaging consequences. Your customers depend on you to deliver in the amounts they order from you because if orders come up short, it could negatively impact their production schedule, and their future relationship with you. A poorly or improperly calibrated scale will not be viewed as a mistake because in manufacturing, a production process resulting in defects can be very costly. It will be seen more as carelessness and a sign of poor quality control, which may prove expensive to both – you and your customer. Depending on your industry, odds are any scales used in your company fall under regulatory compliance standards. Companies found operating with scales that fall outside of regulatory tolerances can be subject to censure and fines. Count on Alliance Scale, Inc.
Alliance Scale, Inc. sells and services scales for a variety of businesses and industries throughout New England and New York. Our scales can be found in industrial settings, food service, transportation, laboratories, and in retail applications. We also serve the grocery and retail trades directly and offer a complete label service for both stock and custom labels. At Alliance Scale, our knowledgeable, skilled technicians are always prepared to respond quickly to repair or inspection needs to keep scales operational and help meet all regulatory and compliance requirements. We often recommend more productive and cost-effective weighing and measuring solutions. Our team of technicians provides exacting calibration service with military-inspired precision. All testing equipment can be tracked to NIST. We offer at no extra charge, an on-line, customer specific downloadable library of calibration certificates and calibration reports for your compliance requirements. Schedule your weight calibration service now!